This week sees the end of heather burning on the Leadhills Estate. It is necessary to burn the heather in order to maintain vigorous and nutritious heather moorland. The heather is burned in strips about 30 metres wide and a well burned moor has the appearance of a patchwork quilt. 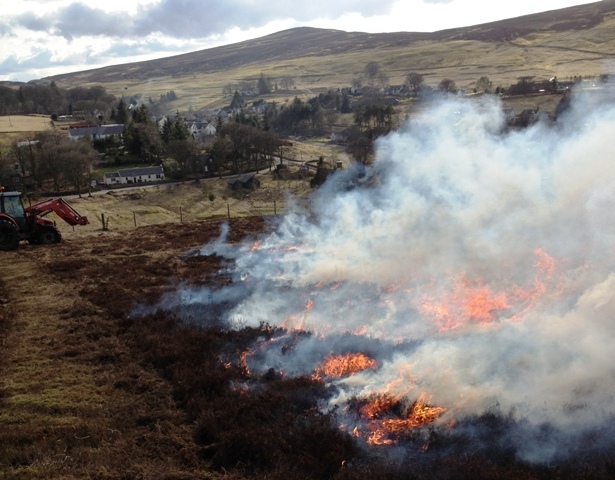 Burning heather is a very skilful and dangerous task and visitors should be very careful not to cause fires. Heather burning normally stops around the 15th of April when lambing on the hill is starting and the birds begin to nest and lay eggs.